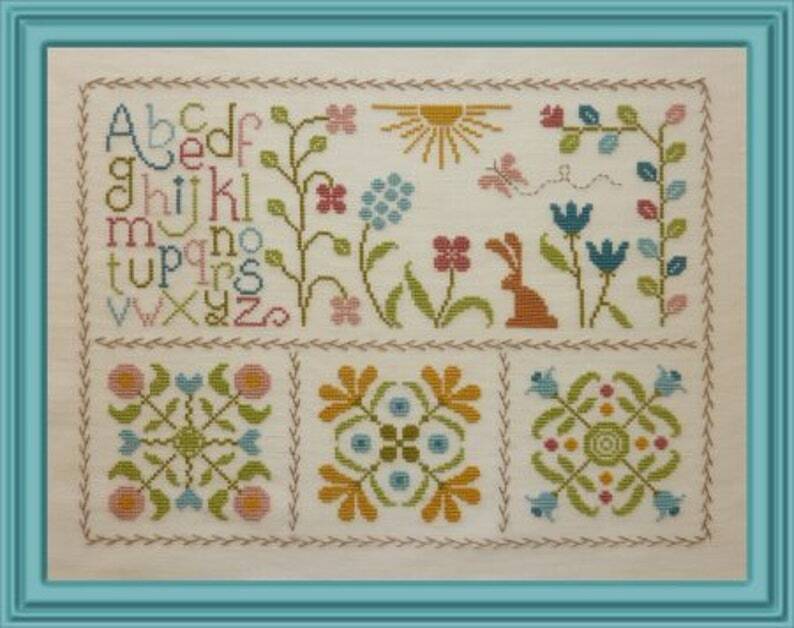 Spring Sampler – counted cross stitch chart to work in 9 colours of DMC thread. 3 square motifs and 1 rectangular with fresh Spring colours. Fresh Spring Sampler – French counted cross stitch chart to work in 9 colours of DMC thread. •	Charted for 9 colours of DMC stranded cotton. Cross stitch and thorn stitch. Around My Tree – counted cross stitch chart to work in 8 colours of DMC thread. Tree sampler. ABC Sampler. Sampler in the Round. Alphabet.